Please check the compatibility OEM Part number before purchase. Condition: 100% new Material: Brass & plastic Item included: 1 x Intake Air Temperature Sensor oltage Supply:25 °C- 80 °C Part number: 25037225 WT1000 1802-98613 31000 1H7 72-4514, 25036751 AX3 AX1 WT385 SU107 TS10080 213-190, 25037034 54001 210-1001 25037334 CGQGM009 TS10077 Compatible with: Fit for Chevrolet C1500 1994-1997 6.5L Fit for Chevrolet C2500 /C3500/K2500/K3500 1994-2000 6.5L Fit for Chevrolet Express 2500 /Express 3500 1996-2002 6.5L Fit for Chevrolet K1500 1994-1998 6.5L Fit for Geo Storm 1990-1993 1.6L 1.8L Fit for GMC C1500 1994-1997 6.5L Fit for GMC C2500/C3500/K2500/K3500 1994-2000 6.5L. X-TRAIL (T30). MICRA MK 2 (K11). MASS AIR FLOW SENSOR. AND MAKE SURE THE ITEM IS IDENTICAL TO THE ORIGINAL ONE. ENGINE SIZE. NOW CHECK THE TABLE. Number of pins:5. CHECK SPECIFICATION. Water Temperature Sensor. Lambda Oxygen Sensor. Speedo Gearbox Sensor. CADILLAC DEVILLE 4.6 1993-1999. CADILLAC DEVILLE 4.6 Concours 1993-1999. CADILLAC DEVILLE 4.6 DHS 1999-2004. CADILLAC DEVILLE 4.6 DTS 1999-2004. Manufacturer Part Number 12601822. Pontiac Firebird w/ 5.7L (LS1). Sensor Wire. Pontiac GTO. Chevrolet Corvett. Chevrolet Camaro w 5.7L (LS1). Chevrolet Avalanche w/ 4.8L, 5.3L, 6.0L. Chevrolet Silverado 1500, 2500 w/ 4.8L, 4.3L, 6.0L. Manufacturer Part Number: M3212, 25180303, 25008302,25008207, 25008309. Type: Mass Airflow Sensor (MAF Sensor). 1 Mass Air Flow Sensor. The mass of air inducted by the engine (air flow mass) with great precision. 2003-2006 Pontiac Vibe 1.8L. 2002-2008 Toyota Corolla 1.8L. 2002 - 2006 1800CC 16-VALVE DOHC EFI; COROLLA (ZZE130);. 2002-2006 1800CC 16-VALVE DOHC EFI; COROLLA (ZZE130);. 2003-2006 Toyota Matrix 1.8L. OPEL 21994504. Function Air Mass Sensor. Model year to: 02/2011. Model year to: 12/2011. If you are satisfied with our service, pls. If you do not receive our reply within 48 hours, pls. OEM Oil Pressure Sensor Switch for Pontiac G8 GMC Yukon 213-4411 12621234. Pontiac G8 2009 V8-376cid 6.2L FI VIN W LS3. GMC Yukon 2009-2010. GMC Yukon XL 1500 2009-2010. GMC Yukon XL 2500 2009-2010 V8-364cid 6.0L. Suzuki·Esteem (1998-2000). Pontiac·Firefly (1998-1999). Suzuki·Aerio (2004). Suzuki·Swift (1998-2001). Toyota·Hiace (2006-2007). Whatever the problem, we will stay with it until it is resolved and you are satisfied. Mass Air Flow Sensor Replace 22204 21010 197400-2030 For Toyota Lexus. ž For Lexus: 22204-0C020, 22204-0J010, 22204-0D030. For Lexus ES. ž 1999-2006 Lexus ES. For Lexus GS. ž 2008-2011 Lexus GS450h. OPEL 1235060 55573248 93192107. BUICK 12591290 55573248. GMC 12591290 55573248. 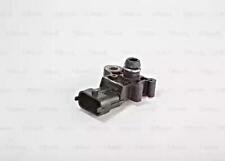 MAP Sensor 0261230289 Bosch. Part Number 0261230289. VAUXHALL 55573248 93192107. WULING 12591290 55573248. CADILLAC 12591290. OEM Numbers: 010456603 / 012589867 / 06238171 / 10456603 / 12589867 / 6238171 / 81045 66030 / 81258 98670 / KS116. OPEL 6238171. CHEVROLET AVALANCHE 5.3 AWD 10/2000 -. CHEVROLET AVALANCHE 1500 Crew Cab Pickup 5.3 4WD 09/2001 -. 1 x Fuel Tank Pressure Sensor. Perfect match for the original car. Due to the difference between different monitors, the pictures may not reflect the actual color of the item. 100% new and High Quality. ZAFIRA A 1999-05. ASTRA 1998-05 1.6 1.8 2.0. EXCLUDING HIGHLANDS AND SCOTISH ISLANDS. EXCLUDING SCOTISH HIGHLANDS AND ISLANDS (PNP PRICE ON REQUEST ). OEM Numbers: 19112572 / 19207203 / 25008219 / 25008307 / 25008308 / 25179711. CHEVROLET 25008219. GENERAL MOTORS 25008219. CHEVROLET C2500 Extended Cab Pickup 6.5 D 09/1997 -. CHEVROLET C3500 Extended Cab Pickup 6.5 D 09/1997 -. 100% new items in new packing, un-opened, never used. Retailing on wholesale price with Money-back quality guarantee. Directly from factory with competitive price. Please check the OE number is same with your car part. Warranty:Yes OE Number For Reference:88893284 Application: For Cadillac Pontiac. Search “NGK Partfinder”. Equivalent Part Numbers: NGK: EPBMWT4-V002H, BBT: AMS705, BUICK: 836 583, 90 530 463, CADILLAC: 836 583, 90 530 463, CHEVROLET: 836 583, 90 530 463, DAEWOO: 836 583, 90 530 463, ERA: 558002, FEBI BILSTEIN: 33698, GENERAL MOTORS: 836 583, 90 530 463, MAPCO: 42704, OPEL: 836 583, 90 530 463, OSSCA: 1540, PONTIAC: 836 583, 90 530 463, SWAG: 40 93 3698, WILMINK GROUP: WG1031988, WG1430001. OEM Numbers: 88984165. CHEVROLET 88984165. GENERAL MOTORS 88984165. PONTIAC 88984165. CHEVROLET ALERO 2.2 12/2001 -. CHEVROLET HHR 2.2 01/2006 -. CHEVROLET COBALT 2.2 04/2004 -. PONTIAC SUNFIRE 2.2 11/1998 -. Search “NGK Partfinder”. Equivalent Part Numbers: NGK: EPBMFT5-V021H, BUICK: 9 470 640, CADILLAC: 9 470 640, CHEVROLET: 9 470 640, DAEWOO: 9 470 640, FORD: 1367 827, GENERAL MOTORS: 9 470 640, PONTIAC: 9 470 640, VEMO: V25-72-1096, V95-72-0052, VOLVO: 31 342 364, 31 342 414, 8670 2630, 8692 624, 8692 6240, 9445 148, 9470 640, 9545 148. 1 Piece O2 Oxygen Sensor. - Fit for Pontiac Vibe 1.8L 2003-2008. - Fit for Toyota Corolla/Matrix 1.8L 2003-2008. A 3-year warranty is promised, your satisfying is our ultimate pursue. - High quality and good performance. MAP Sensor is short for Manifold Absolute Pressure Sensor. Key Points. This allows the car to run and perform smoothly. It's purpose is to sense the manifold pressure in the engine, therefore it applies the right amount of gas with the right amount of ignition timing. OPEL 1235060, 55573248, 93192107. Function Sensor, intake manifold pressure. BOSCH 0 261 230 146, 0 261 230 282. OPEL INSIGNIA A (G09) 1.6 (68) Hatchback Petrol 07/2008 on FWD 16 116 85. OPEL INSIGNIA A (G09) 1.6 Turbo (68) Hatchback Petrol 07/2008 on FWD 16 180 132. Part Number：12219935. Quantity: 1 piece. Two Knock Sensors. Chevrolet Avalanche w/ 4.8L, 5.3L, 6.0L. Sensor Wire. Pontiac Firebird w/ 5.7L (LS1). Pontiac GTO. Chevrolet Corvette. Chevrolet Camaro w 5.7L (LS1). Chevrolet Silverado 1500, 2500 w/ 4.8L, 4.3L, 6.0L. Parts taken of a 1999 Pontiac Grand AM Left Hand Drive (LHD). (In Spain Gran Canaria will not be a part of mainland). Manufacturer Part Number: 25333817, 250-24488. - Interchange Part Number: 25333817, 250-24488. 1 Piece Oxygen Sensor. - Fit for Chevrolet, GMC, Pontiac, Saturn. - Size: (Approx). OEM Number: 83181-12020 / 8318112020,SC180,5S4885,SU6217,GEGT7610-28,20GEGT516M,150GE28GT440W,100GEGT440W2,150GEGT375RFit for Toyota,Chevrolet,Lexus,Pontiac,Geo. 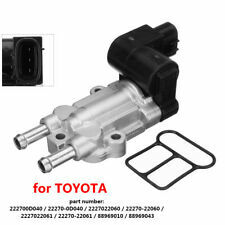 - For Toyota Land Cruiser 2007-1998. 1 Piece O2 Oxygen Sensor. - Fit for Pontiac Vibe 1.8L 2003-2008. - Fit for Toyota Corolla/Matrix 1.8L 2003-2008. Good quality! Excellent Service! CHEVROLET CAMARO Convertible 3.8 10-1995 -. CHEVROLET CAMARO 3.8 10-1995 -. PONTIAC FIREBIRD Convertible 3.8 10-1994 -. 09-1997 3791 149 203 L36 Convertible. 12-1997 3791 149 203 L36 Convertible. CHEVROLET 24 504 302. TOYOTA, LEXUS, SCION, PONTIAC, MAZDA. ✔100% Genuine✔Original DENSO part not generic✔WARRANTY. 100% Genuine Original DENSO parts, not generic. 2004-2006 SCION XA 2.4L. 1999-2003 LEXUS ES300 3.0L. 2004 SCION XB 2.4L. Delphi Oxygen Sensors. Lucas Oxygen Sensor. Bosch Oxygen Sensors. Denso Oxygen Sensors. NTK NGK Oxygen Sensors. Spark Plug Tools. Each unit undergo's strict testing to ensure parts are of OE specification at our in-house facility. BRAND NEW MASS AIRFLOW SENSOR. Lucas Oxygen Sensor. The introduction of emissions legislation into MOT tests during the following years, made Fuel Parts a popular supplier for this growing market. Direct Fit. DIY Car Service Parts. Bosch MAP Sensor 0261230289. You can check if this part is correct for your vehicle using the Bosch Online Catalogue. Labour claims & consequential loss claims are never accepted. Part Numbers. Other Part Number 25179711 / 2133457. Interchange Part Number 19112572 / 19208521. Manufacturer Part Number 213-3457 / 25008219. We only warranty the cost of parts. Manufacturer Part Number 12589867. Knock Sensor. Pontiac Firebird w/LS1 w/o locating tabs. Pontiac Firebird w/LS1. Pontiac GTO. Chevrolet Corvette. Chevrolet Camaro w/LS1 w/o locating tabs. Chevrolet Camaro w/LS1. GMC 2199450, 21994504. Air Mass Sensor 0280218488 Bosch. Part Number 0280218488. CADILLAC 21994504. CHEVROLET 21994504. HOLDEN 21994504. OPEL 21994504. PONTIAC 21994504. CHEVROLET CAMARO (FP_) 5.7 05-1986 -. PONTIAC FIREBIRD 5.0 12-1981 -. PONTIAC 14094712. CHEVROLET CORVETTE Convertible (1YY) 5.7 10-1985 -. Cross Reference And OE number list. Give us your trust and we'll help you to repair or update your car! Short Code: 93863. NGK NTK MAF SENSOR. Product Type: MAF SENSOR. Gaghills Mill. List Price £ 252.91. Manufacturer Part Number: EPBMFT5-V022H. We want you to be totally satisfied with your order, so if for any reason it’s not suitable we are here to help. Fit for Toyota Corolla 1998-2005. Fit forToyota Celica / MR2 Spyder / Echo 2000-2005. Item included: 1x Throttle Position Sensor. Fit for Subaru Impreza 1999-2005. 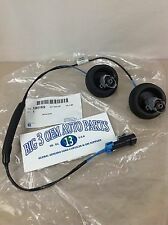 Fit for Subaru Legacy 1999-2001. Fit for Subaru Outback 2000-2001. Any information in the compatibility table is for reference only and there may be unspecified choice options. Labour claims & consequential loss claims are never accepted. The only way to be 100% sure that the part will fit your vehicle is to check the part number on your original unit matches one of the above. Part_NumberEPBMWT6-A001H / 90144. NTK NGK Oxygen Sensors. NGK Spark Plugs. NGK Glow Plugs. Lucas Oxygen Sensor. Delphi Oxygen Sensors. Bosch Oxygen Sensors. Denso Oxygen Sensors. OEM Numbers: 010456238 / 10456238. for OE number: 10456238. GENERAL MOTORS 10456238. OPEL 10456238. VAUXHALL 10456238. BUICK CENTURY Saloon 3.1 10/1993 -. BUICK CENTURY Saloon 3.1 10/1996 -. CHEVROLET LUMINA Saloon 3.1 LS 10/1994 -.